The wet winter has been very welcome in helping the land recover from years of drought, but this also means the plants are thriving. Increased plant growth means increased pollen counts. As soon as the rain stops, the plants get to work releasing pollen into the air. For those with seasonal allergies, this allergy season has started earlier than expected. We can expect a long and severe allergy season this spring. You may have already started to notice typical seasonal allergy symptoms of sneezing, coughing, and itchy noses and eyes. Common allergy triggers come from farms, trees, and natural grassland for a cumulative effect. Reduce your exposure. While you can’t avoid all pollen exposure, simple things like keeping your windows closed and running your air conditioner makes a huge difference. Once you come in from being outside, take off your clothes and take a shower as soon as you can so you don’t track pollen into your house and into your bed. Pay attention to filters. If you use air conditioning, be sure to use HEPA or high efficiency filters and change them every three months. Track pollen counts. Stay indoors on dry, windy days and avoid exercising outdoors during times of high pollen counts. Pollen counts usually peak in the morning between 5 am and 10 am. You can check pollen.com to see pollen forecast. Get tested again. Even if you have been tested in the past, your immune system is constantly changing. You can pick up sensitivities or lose them in time. Periodic re-testing can make a difference. For indoor allergies, mitigation strategies depend on what you are sensitive to. The most common indoor triggers are dust mites, mold and pets. For dust mites, use dust mite-proof covers on pillows and mattress and wash bedding at least once a week. I also recommend removing dust mite-magnets like carpeting, stuffed animals, and large numbers of pillows, drapes, and plush furniture. If indoor mold is a trigger for you, identify areas where you see water damage, including chronic dampness. You can use diluted bleach to eliminate visible mold growth and avoid carpets in bathroom. Also pay attention to the humidity levels in the air. Mold and dust mites love humidity over 50 percent. If you are allergic to pets, bathing the pet often can help and always try to keep them out of your bedroom. I also encourage pillow and mattress covers as well as frequently washing bedding. 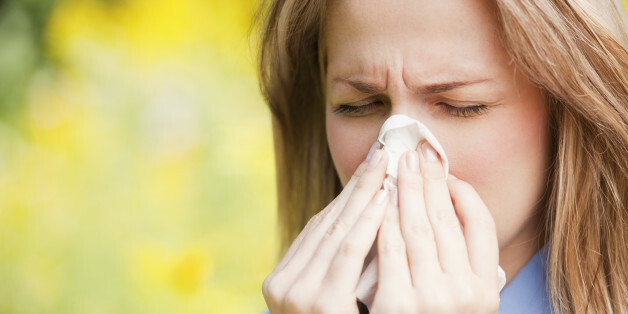 Allergies don’t have to be a pain and you don’t have to suffer through them! If you don’t know what you are allergic to, see an allergist so we can talk in depth about your history and symptoms. Once we determine the source of your suffering, we can devise a plan to address it. Working together, we can develop a plan that treats more than just the symptoms and finds ways to eliminate allergies entirely. Dr. Angelina Crans Yoon is an allergy and immunology specialist at Dignity Health Medical Foundation – Davis Clinic.